1 Family, Colonial Sits On A 40X100 Lot With Lots Of Open Yard Space. Ideal For Lots Of Parking Or Children At Play. 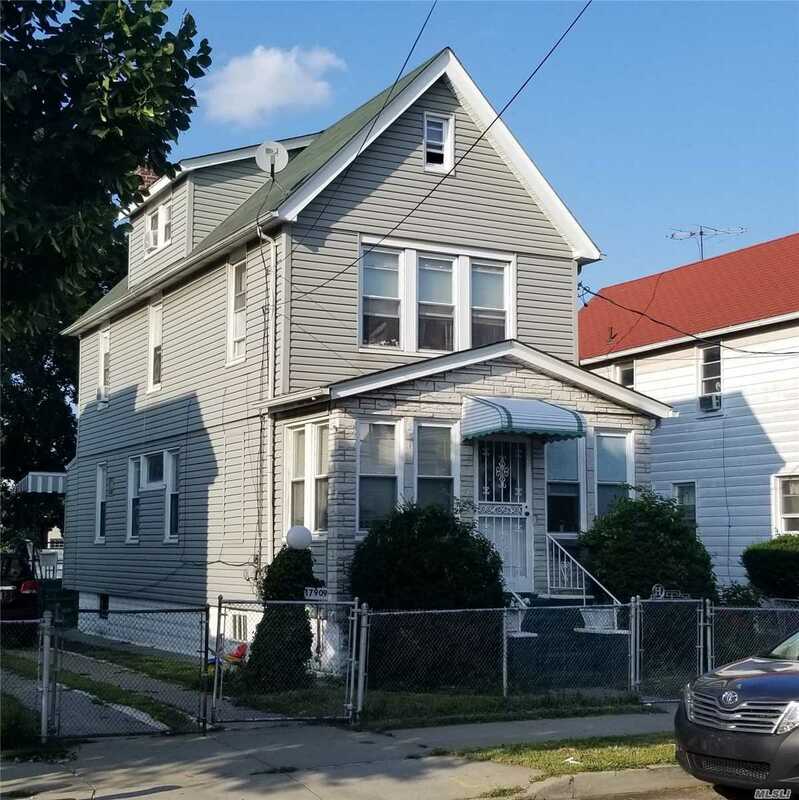 Comprises Of A Formal Living & Dining Room With Large Kitchen On The 1st Floor, Three Bedrooms And Full Bath On The 2nd Floor, Full Walk Up Attic And Finished Basement. Lots Of Rooms For Lots Of People Or Storage. Ideally Located Close To Belt Parkway And 5 Minutes From Jfk Airport. Owners Are Relocating. Dont' Miss Out On This Rare Opportunity.